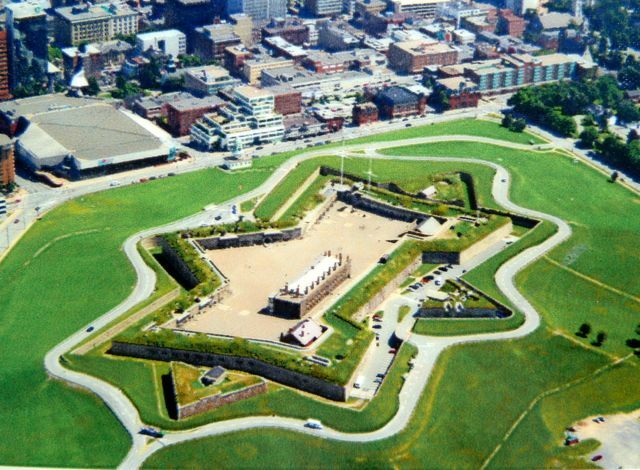 The Citadel was completed in 1856 and the 4th in a series on this site. 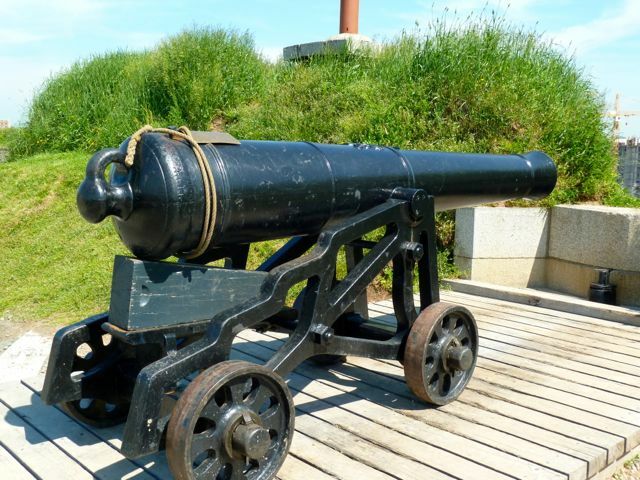 It never saw battle and was built to protect against the Americans and French. 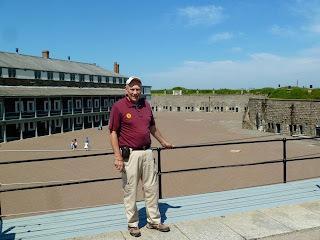 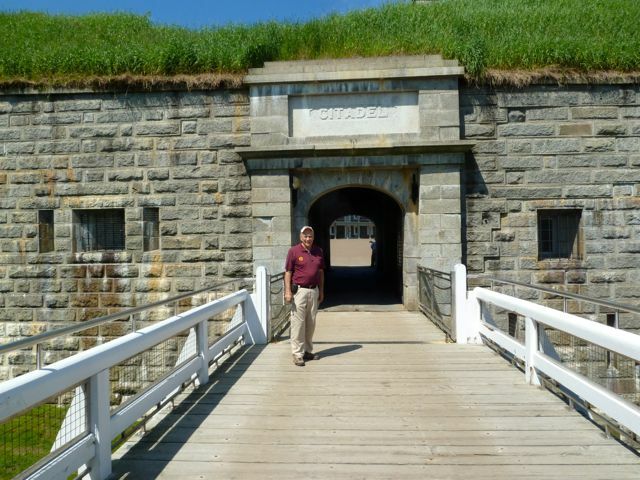 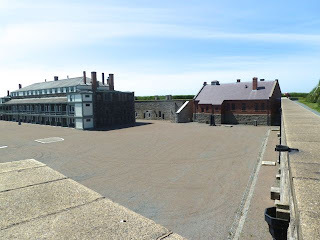 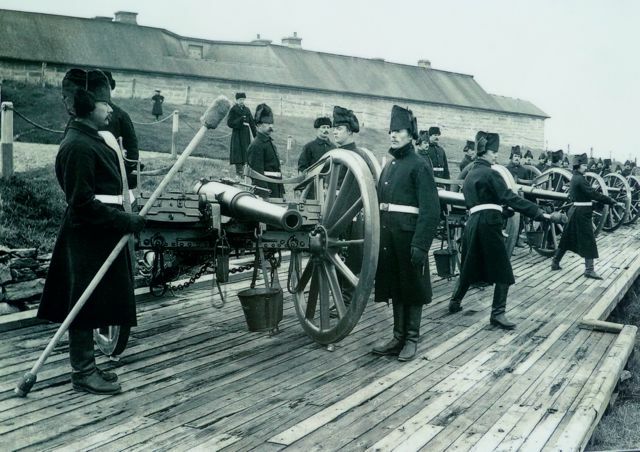 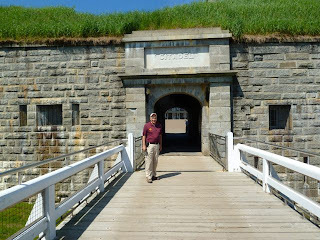 WW I and II housed soldiers and a command center for Harbor Defenses. 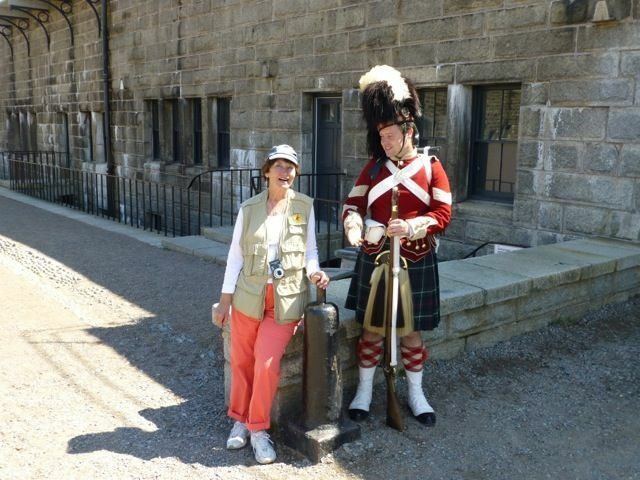 We purchased an annual Provincial Parks Pass for around $60/ea for seniors. 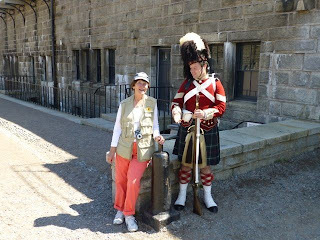 A huge savings considering all the parks we will visit during our touring of Canada. 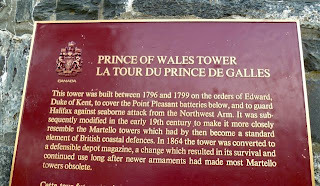 Plus the convenience. 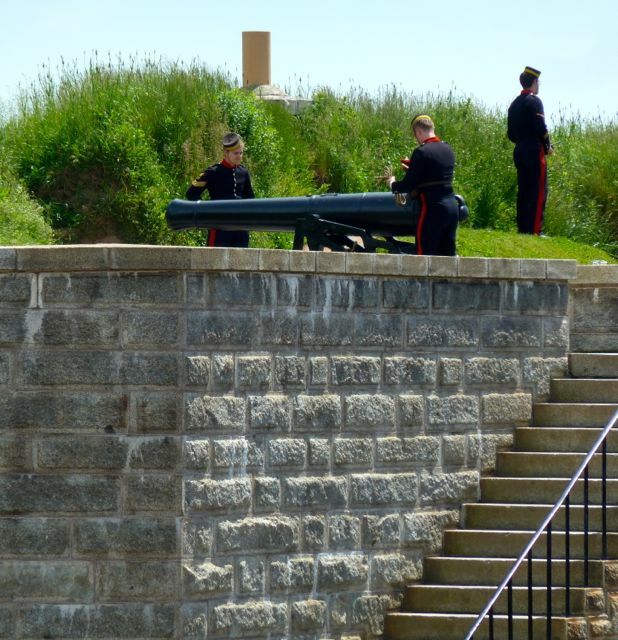 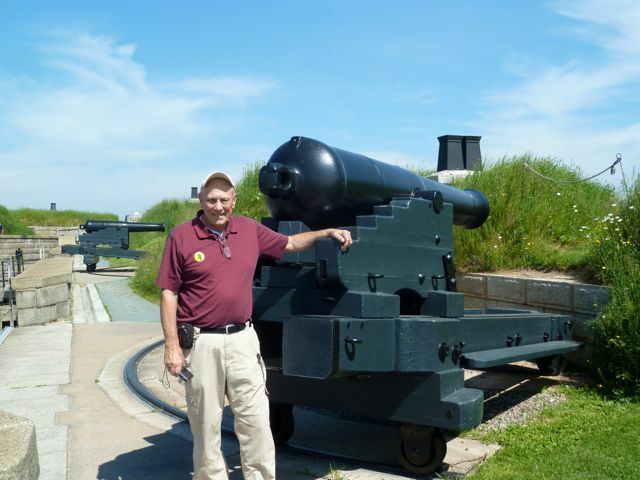 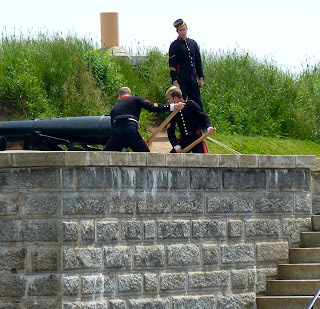 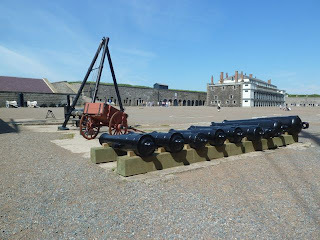 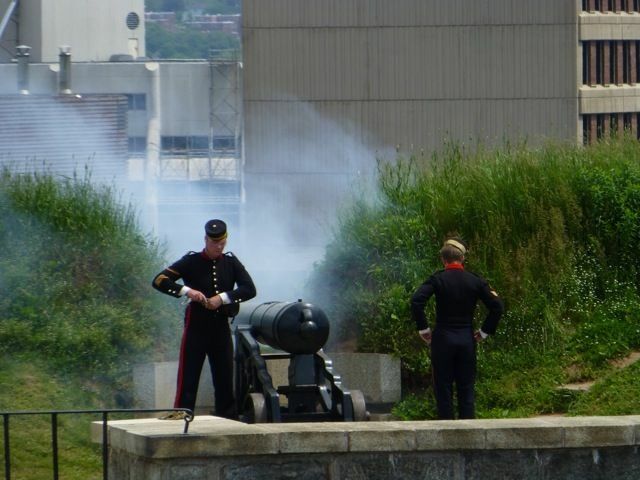 We spent several hours touring and saw the firing of the cannon, which they do everyday at noon. 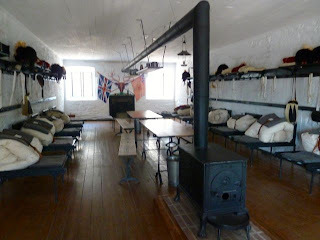 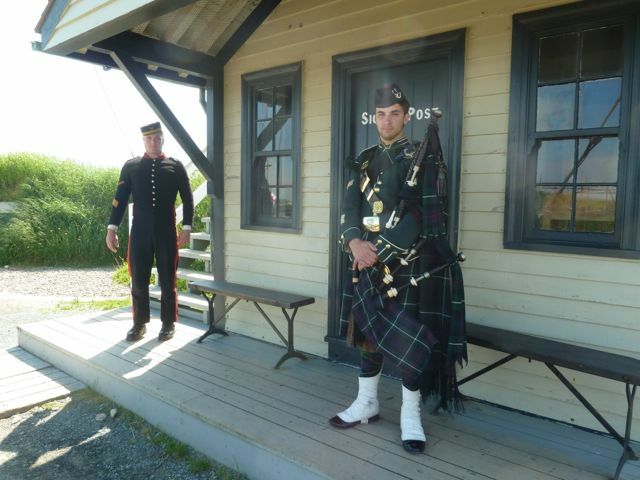 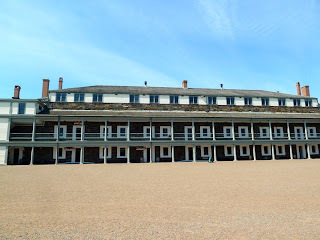 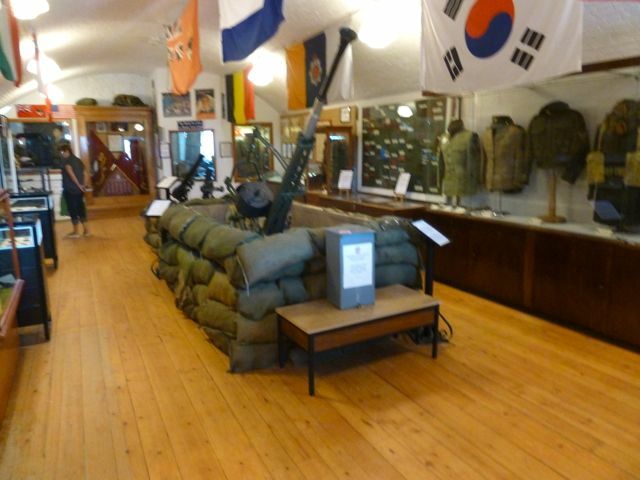 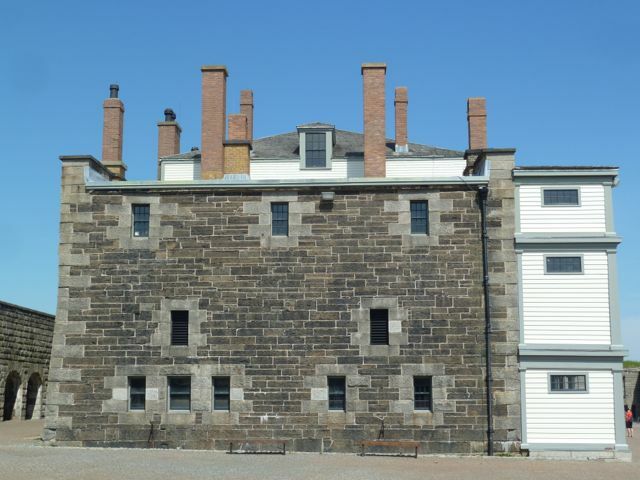 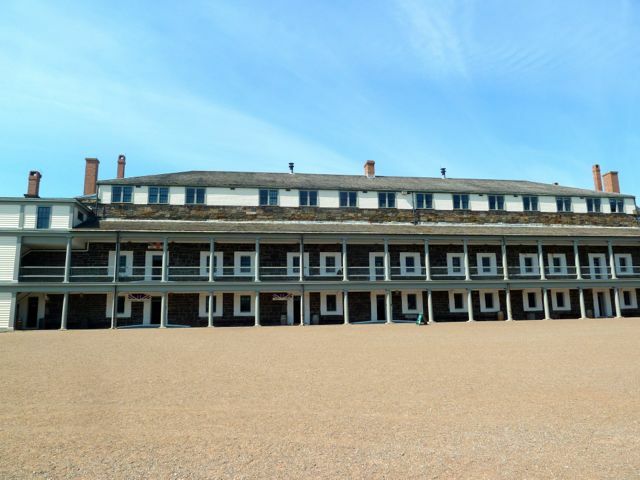 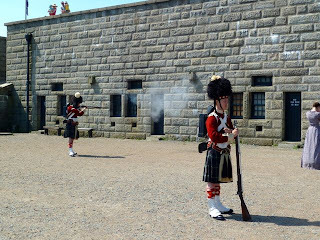 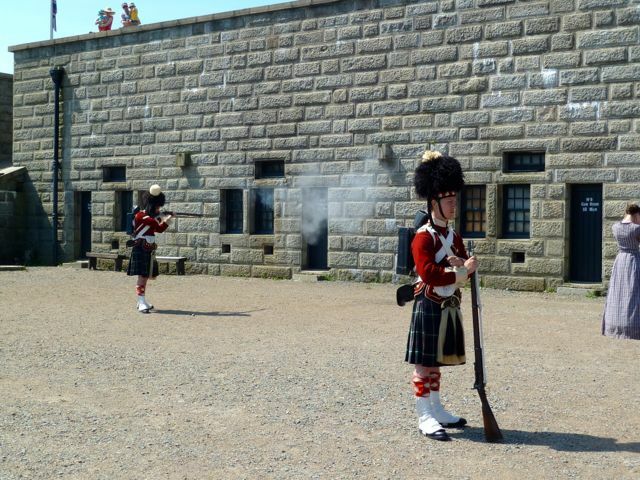 Housed in the barracks is a very informative museum tracing the Canadian military history over the years. 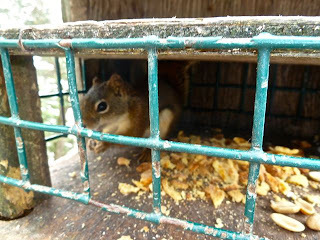 Instead,will put up lots of photos. 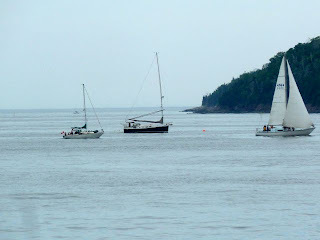 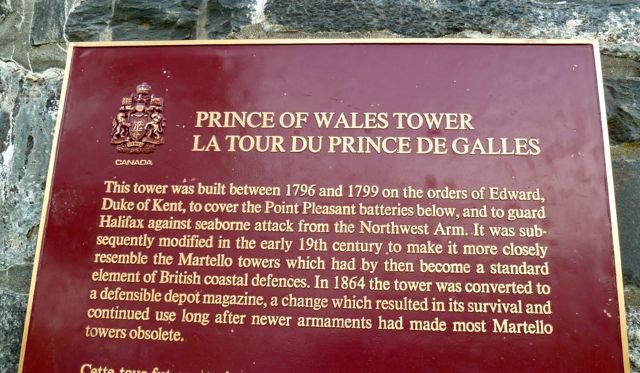 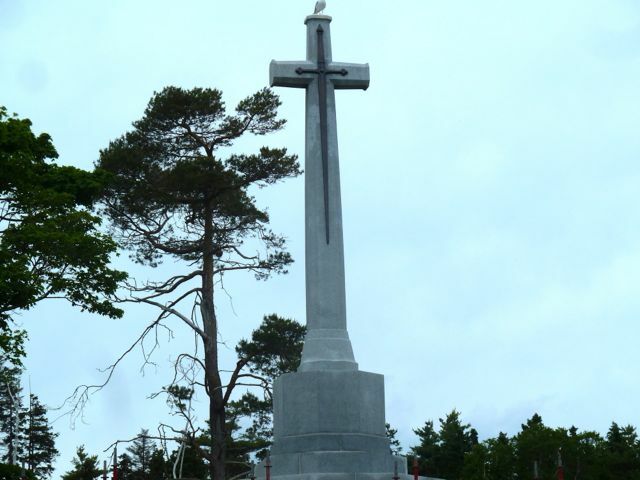 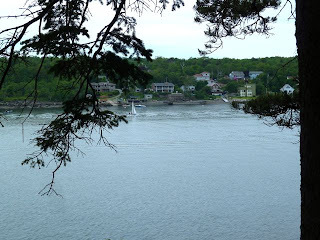 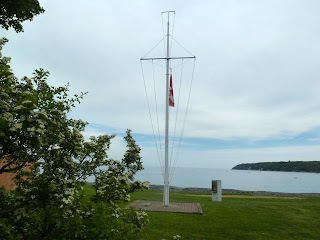 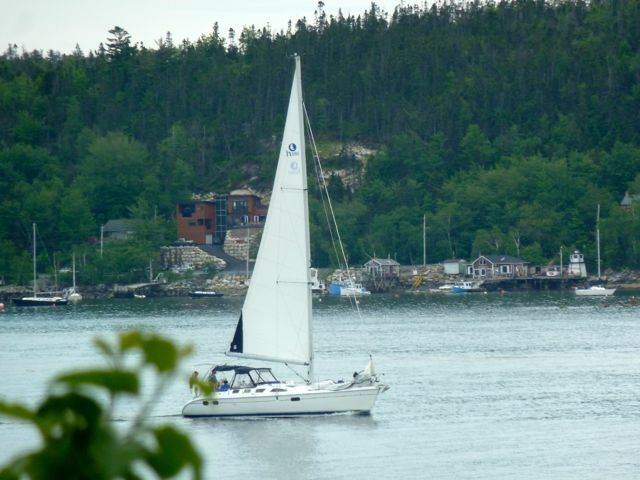 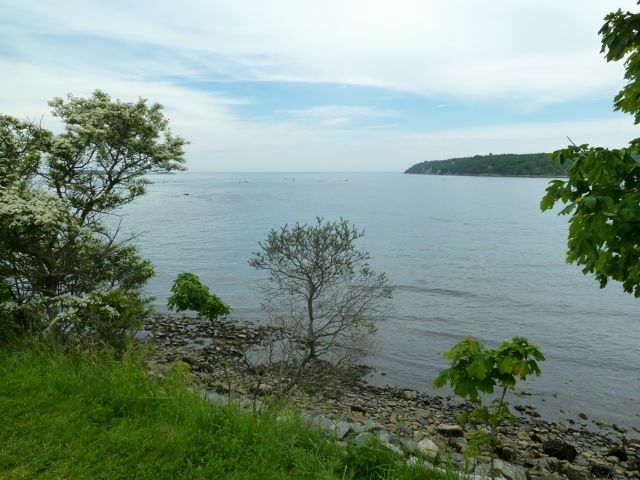 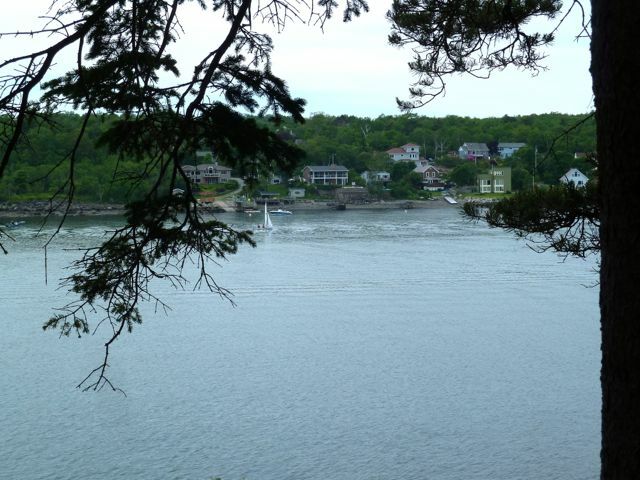 After visiting the Citadel we went to Point Pleasant Park across the bay from Purcell Cove. 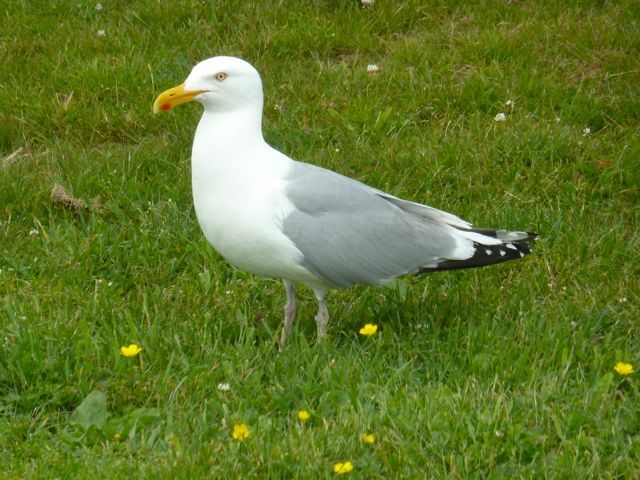 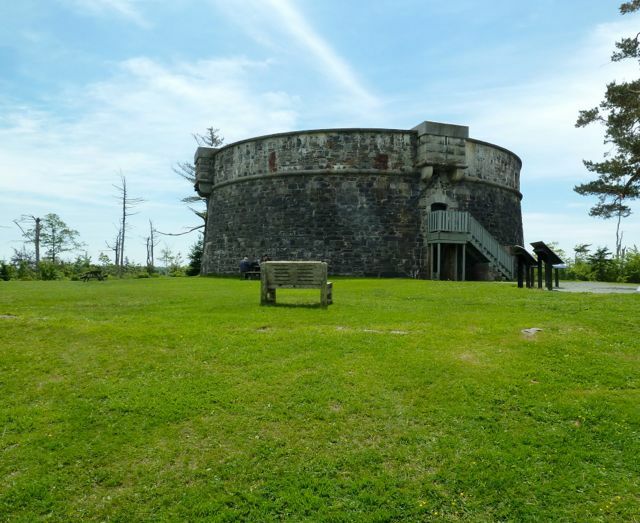 This is a very popular park for hikers, bicyclists, dogs and visiting the batteries. Got our exercise for the day. 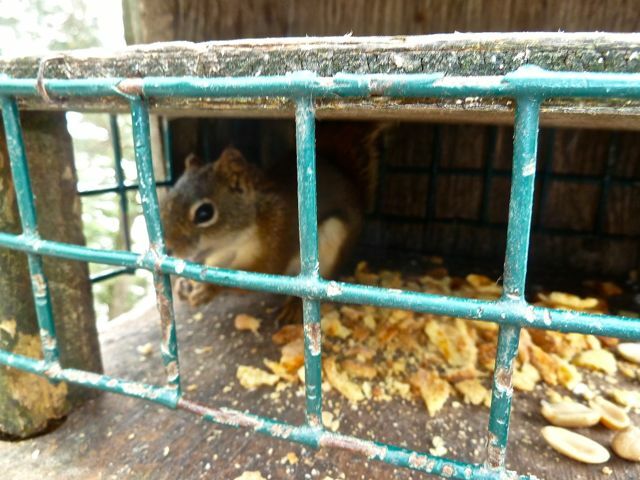 They even provide feeding cages for the squirrels.